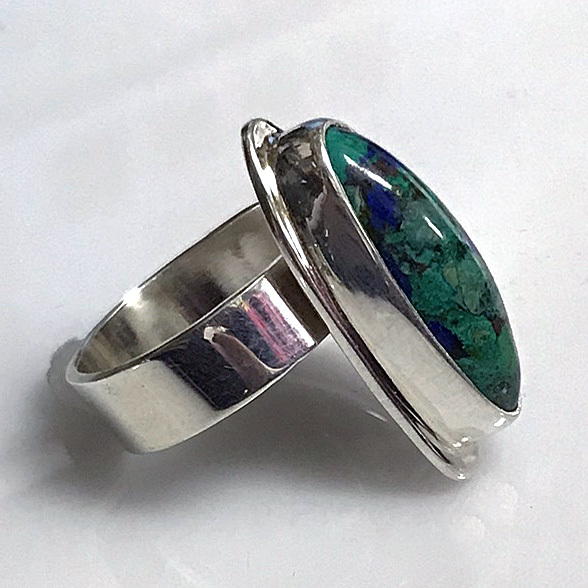 Modernist Jewelry - This is a high polished sterling silver statement ring featuring a beautiful petite oval blue green Azurite cabochon gemstone (23mm x 9mm). This beautifully handcrafted ring has a wide shank and is adjustable for easy sizing. 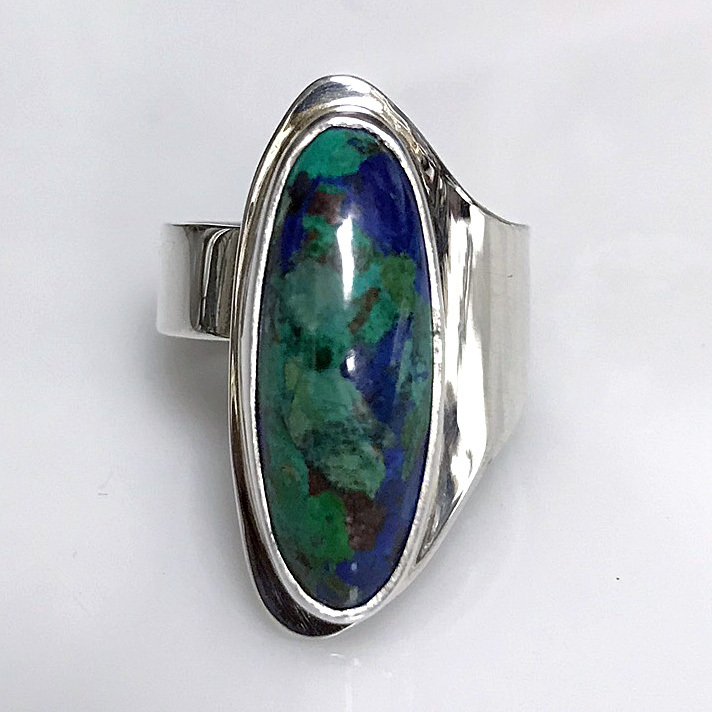 From our Modernist Collection, this is an exquisite handcrafted sterling silver ring that is delicate, but still bold. 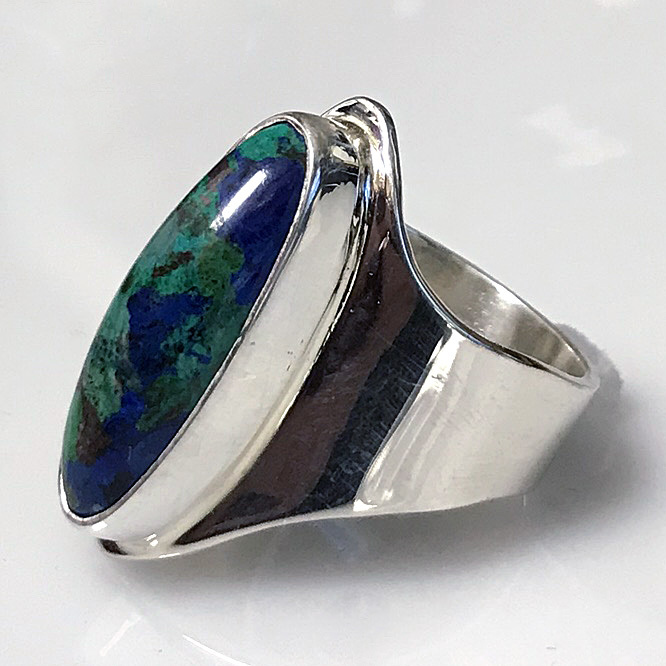 The high polished ring features a long Azurite cabochon that is fully bezeled in sterling silver. The Azurite is approximately .91" x .36" (23mm x 9mm). The back of the Shank is 6mm wide.